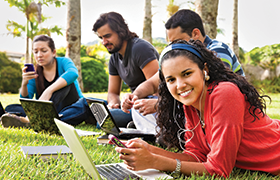 Want to Simplify Network Management and Know What Students are Doing on the Network? Students and educators need network access and constant connectivity to enhance learning outcomes and user experiences. Without a reliable network solution, students cannot learn efficiently and education outcomes will be affected. A network access control system enables students to readily connect to educational resources, while restricting access to certain applications on the network. The constraints help institutions prevent security breaches and securely enable BYOD and Internet of Things devices through role-based network policy. A single management system for the entire network provides consistent policy-based control across all devices, integrated wired/wireless management, an easy-to-use dashboard, open application programmatic interface, network inventory system, third party network integration, and more. Extreme Management Center and Extreme Access Control are two effective answers to manage and control the network for flawless access. Extreme Management Center provides central management and a unified view of the entire network from any location, and Extreme Access Control provides a captive portal that allows students and staff to easily and securely gain wireless access. St. Edward’s University chose Extreme’s solution because of its ability to integrate the management platform with the existing workflows at the university and because the network could be managed from one place. Network bottlenecks are no longer an issue at Louisiana College, because Extreme Wireless and Access Control provide smooth, simple on-boarding of devices. Students are able to self-administer and authenticate their wireless devices through a portal, which makes Wi-Fi access a breeze. Managing the network is much easier with Extreme Management Center and Extreme Access Control because they bring everything under one console, accessible from anywhere on campus, giving the IT staff the ability to drill down into the areas that need focus. At St. Xavier High School in Cincinnati, Ohio, the additional network visibility, insight and management capabilities provided by Extreme Control Center, Extreme Identity and Access Control, and Extreme Application Analytics has improved the connectivity for the school’s Apple products, resulting in cost savings and productivity increases. Hardware, software, and all devices on the network interoperate flawlessly and educators can stay focused on education, not technology. The school is able to save money on network management while still remaining advanced. Alabama Southern Community College was able to cut costs with Extreme’s centralized network management solution that reduced the time required to manage the network. Additionally, employee time constraints had posed an ongoing dilemma for the three Alabama Southern technicians who work across their IT department. The ability to meet student digital learning needs while reducing the college’s IT staff workload was a major milestone for Alabama Southern. Extreme Management Center is a single pane of glass solution system that provides wired/wireless visibility and control from the data center to the mobile edge. The intelligence, automation, and integration of management software enable the IT organization to optimize the efficiency of network operations and reduce total cost of ownership. 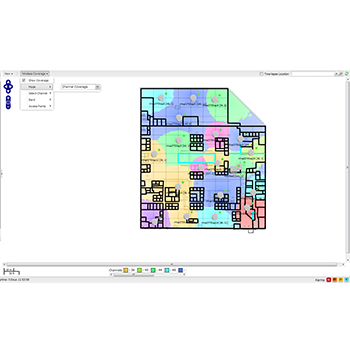 No matter how many moves, adds, or changes occur in your environment, Management Center keeps everything in view and under control through role-based access controls. RF heat map of the network. Shows the signal strength and channel coverage. Devices can be searched for via mac addresses, devices names, etc; devices can be tracked to within a few meters of where they are located. Extreme Access Control is a complete standards-based, multi-vendor interoperable pre-connect and post-connect solution for wired and wireless LAN and VPN access control. Using the Extreme Access Control Gateway appliances and Virtual Appliance with Control Center management configuration and reporting software, IT administrators can deploy a leading-edge network access control solution to ensure only the right users have access to the right information from the right place at the right time including time of day, location, authentication types, device and OS type, and end system and user groups. Automated BYOD registration allowing users to register their devices using their credentials without IT intervention. 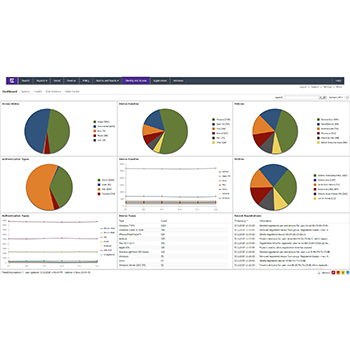 The Extreme Access Control dashboard allows users to create custom reports and provides a view of the different devices connected to the network. You can see who is authenticated, how they are authenticated, the devices being used, a real-time view on registration, and how the devices are being provisioned. Both Extreme Management Center and Extreme Access Control can manage and integrate beyond Extreme Networks products with a third party’s hardware or software. Home › Extreme Networks Blog › Want to Simplify Network Management and Know What Students are Doing on the Network?